"B.A.P is creating unique path that none ever walked"
B.A.P is a group that has the mission to change the world through influential music. They want to travel all over the world and spread happiness wherever they go. 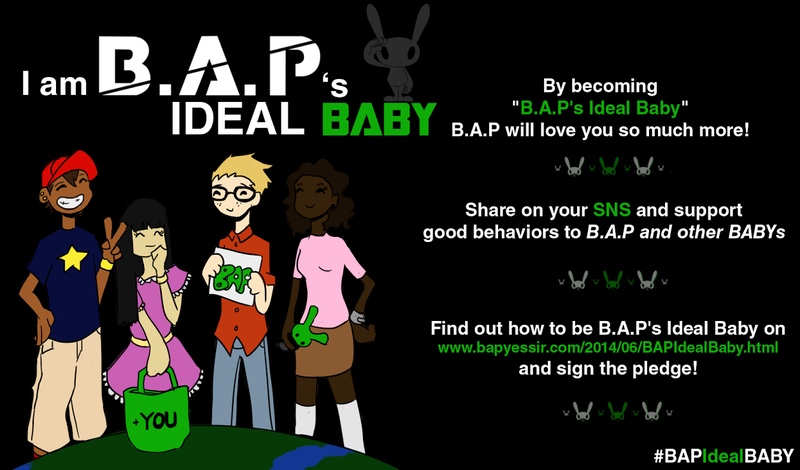 B.A.P also encourage their fans to help people in need and show commitment towards our planet. B.A.P is the first boysband formed by the Korean label TS Entertainment. 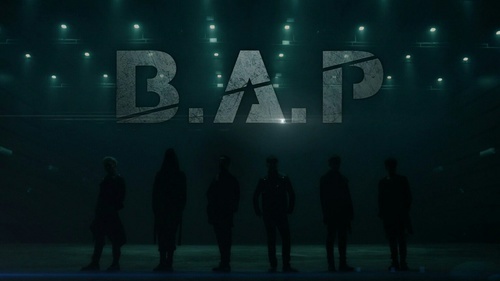 The group consists of Bang Yong Guk (Leader), Himchan, Daehyun, Youngjae, Jongup and Zelo. Their name if an acronym for BEST ABSOLUTE PERFECT, and it shows their determination to become the best and absolutely perfect group. B.A.P. 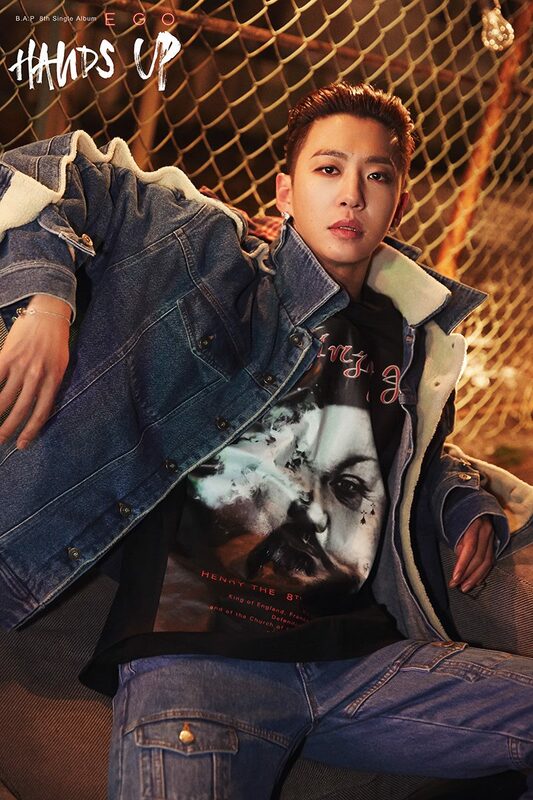 was conceived and began promoting in late 2011, starting with Yong Guk, who takes the role of leader in the group. He signed to TS Entertainment and was featured on labelmate Song Jieun’s song “Going Crazy”. He made a solo debut on August 11, 2011, with the single “I Remember”, featuring BEAST’s Yang Yoseob. 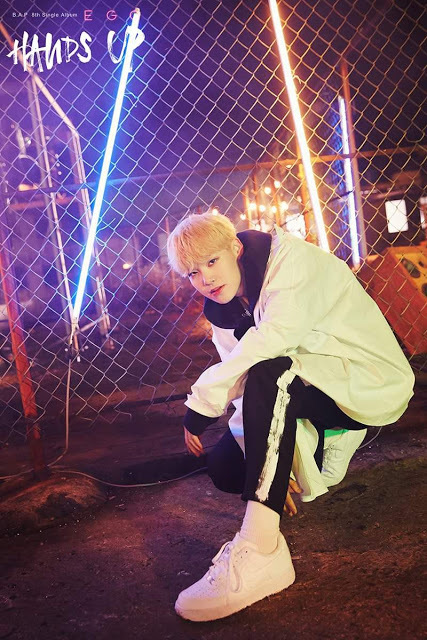 A second member, Himchan, an ulzzang multi-instrumentalist, was the second member of BAP to be introduced to the public in the form of an MC for a music show program on MTV Korea, called “The Show”. And lastly, on November 23, 2011, Zelo, the third member from BAP to be publicly introduced, was introduced through a collaboration with fellow member, Bang Yong Guk, under the moniker Bang & Zelo. This time, they did it by releasing the song “Never Give Up”. In January 2012, the group starred in a reality show, Ta-Dah, It’s B.A.P, which aired on SBS MTV. The show focused on how the six members play the role of aliens from a different planet who worked together to debut as B.A.P and invade Earth to help save their dying planet, Planet Mato. Their official Fanclub name is BABY/BABYz. It has been officially confirmed by TS Entertainment on February 10, 2012. "We are announcing B.A.P’s official fan club name that many of you have inquired about and awaited for. The fanclub’s name that has always supported B.A.P have been called “BABY” by leader Bang Yongguk before debut, has been unanimously determined “BABY” by every member. From now on, on stage as well as all of B.A.P’s activities, we ask for the support and love from BABYz." Official BABY: An official BABY is a fan who bought an official membership from TS ENT. Please check BYS [B.A.P's SNS & FANCAFE] page for more infos. The fandom's official color is green. B.A.P's official cheering set is the Matoki lightstick, the whistle and the slogan (towel). Please check BYS [ARCHIVES] page for more infos. The bunny's name is "Matoki", short for "Mask-wearing Tokki" (tokki means bunny), and it was introduced as B.A.P’s official mascot. Each member has it’s own rabbit. Each one of them represents the character of his member. B.A.P’s company, TS Entertainment said, "After leaving Planet Mato, the Matokis will revealing, slowly, what they are learning about the earth via the Internet. We plan on making them cultural characters that will help people to view the world in different perspectives." Yongguk's matoki is red, his name is SHISHIMATO and he is known to be passionate, brave, masculine and powerful. He is the greatest warrior and don't want to be interrupted. Himchan's matoki is pink, his name is TATSMATO and he is known to be caring, shy and girlish, but is still tough and has authority. He likes to stay in front of the camera. "Tats" means face and refers to Himchan being the "face/visual" of the group. Daehyun's matoki is white, his name is KEKEMATO and he is known to like to tease others, especially Jokomato, and is shy, but when he gets used to people, he won't stop to talk. Youngjae's matoki is yellow, his name is JOKOMATO and is known as the genius of the group, because there is nothing he can't do. He is also really cheerful and optimistic. Jongup's matoki is green, his name is DADAMATO and is known to like exercices and help others. He is a peacemaker. Zelo's matoki is blue, his name is TOTOMATO and is known to be creative and be good at multi-tasking. He only listens to Shishimato and adores him. He is actually a robot. "Do what you like and love what you do." 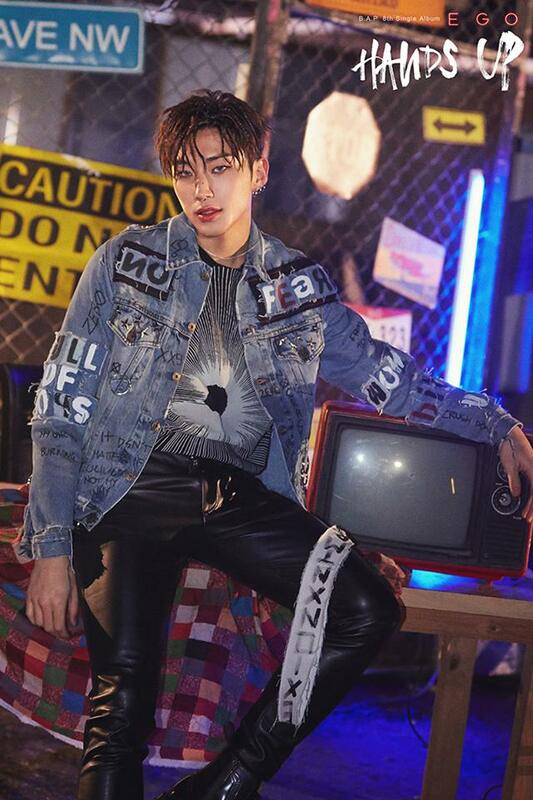 Bang Yong Guk (Korean: 방용국). Born on March 31, 1990; 29 years old. His fans are called "Bangsters"
Yongguk is an activist and wants to make the world a better place. He loves Tigger, and thinks that ramen is the most delicious meal ever. He's also the dad of B.A.P. Yongguk has six tattoos: "Do what u like, love what u do" on his back/shoulder, "Make art, not war" on his arm, has his chest covered with the words "Viva la Revolucion", Zeus's face on his right arm, a drawing of John Lennon on his inner arm, and a Mandala on his left calf. Apparently, his sister made them.In B.A.P, he is the closest to Himchan. When asked how he became a singer, Yongguk commented, "It goes back to middle school. At that time, I was doing underground hip-hop. After becoming an adult, I was introduced to TS Ent. by Untouchable hyung, and entered this company. After that, I was preparing for B.A.P and did other promotional activities, the time of preparation with B.A.P was about one year. For myself, it took me 6 years before I debuted." "When you work, work. When you rest, rest. Always do your best." Kim Him Chan (Korean: 김힘찬). Born on April 19, 1990; 29 years old. He's a caffeine addict (Iced Americano), plays the role of the mother in B.A.P and acts often like he is the most handsome man alive. In B.A.P, he is the closest to Yongguk, but tends to take care a lot of the maknaes. When asked how he became a singer, Himchan commented, "Since I was young, I loved music a lot. Originally I was learning Western music and also majored in Gukak (Korean Traditional Music) but because I also had an interest in the entertainment genre, someone from TS Ent. called to me offering me an opportunity. I was learning janggu. I have collaborated with a shamisen artist before. A Japanese arts school and my school are sister schools so we have exchanges like this. I’m still a student right now but I’m on leave at the moment." "If you will, I will." Jung Dae Hyun (Korean: 정대현). Born on June 28, 1993; 26 years old. He has 1 older brother. His fans are called "Daewons"
He talks a lot, mostly about cheesecake and food in general, and he likes Youngjae a lot. Daehyun got a tattoo after the lawsuit was over: the word "Hold" on his wrist. In B.A.P, he is the closest to Youngjae. When asked how he became a singer, Daehyun commented, "When I was watching TV as a child I learned to be a singer. When I was deciding on a high school, as expected I thought "I have the goal of becoming a singer", and entered the practical music department. At that time also, I was walking by the music academy and had a chance to audition, passed that, and became a member. I practiced at the academy but from when I entered the company and our debut, about 6 months passed. I was the last one to join. So like that up until our debut, my life was full of noisy instances happening. I didn’t feel that there were any horrible or difficult things." 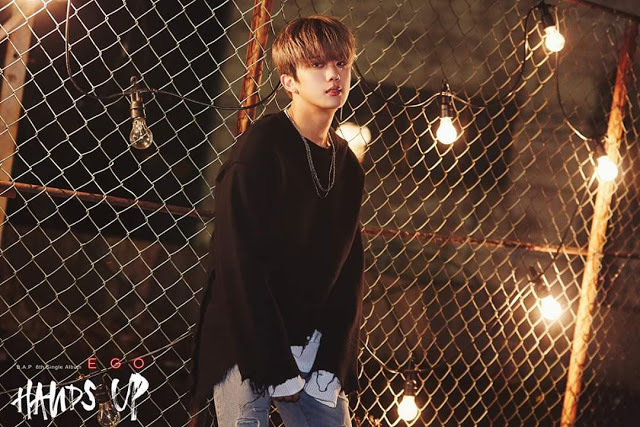 Yoo Young Jae (Korean: 유영재). Born on January 24, 1994; 25 years old. Blood type is AB (Type AB are known to be rational, controlled and split, but they're also critical. His fans are called "Brainboxes"
Youngjae is a troll, and a gamer, he likes all kind of electronics. In B.A.P, he is the closest to Daehyun. When asked how he became a singer, Youngjae commented, "At a field trip, there was a talent show. At that time I sang on stage, my friends cheered loudly and it was surprising. That was the start. My dream to stand on stage is the career I want so I thought "I’ll become a singer". I dreamt of becoming a singer, and started to study music, rapidly becoming attached to the attraction of music. I love music, concentrating on that passion, I became a B.A.P member, and that’s that. I prepared at another company for a year, but when I saw that I couldn’t debut, I was contacted by TS Ent. and debuted about a year later. My life as a trainee wasn’t especially hard. Instead, in order to become a pro, I had to prepare my true abilities and individuality and I thought "This is my responsibility I have to carry" and fee pressure because of this." "Always do what you like, do what you want, and try your best to be happy." Moon Jong Up (Korean: 문종업). Born on February 6, 1995; 24 years old. He has 2 older brothers. His fans are called "Cheetos"
He's probably Chris Brown's biggest fanboy, and he likes drawing Pokemon. He's always happy, and the members think that Jongup is the funniest. In B.A.P, he is the closest to Zelo. When asked how he became a singer, Jongup commented, "Dance became my hobby in my first year of middle school. Because I loved dancing it started to give me a comfortable feeling, eventually I ended up going to tournaments. After that I stood on stage and felt the allure of the stage, and ended up choosing this road. I am now attending an arts school. My time as a trainee at this company is about a year." Choi Jun Hong (Korean: 최준홍). Born on October 15, 1996; 23 years old. His fans are called "Jellies"
He loves skateboarding and socks (he's a weirdo), and admires Yongguk-hyung a lot. In B.A.P, he is the closest to Jongup. When asked how he became a singer, Zelo commented, "When I was little, when I came home I was a child that didn’t play a lot by myself. After returning home, in front of my mom's mirror, I’d beatbox and dance by myself. That day, I realized a neighbourhood TV shooting location was there. Then, my friend came from there saying 'I got a game card so I’ll take you with me' and we discussed how we should leave. However, my mom was there secretly. After returning home from school, without saying anything and abandoning my backpack, I left… My mom wore sunglasses and followed behind us, saying 'My son is on stage dancing and rapping' (laughs). It started from that time. From 5th grade on I started my specialty in rap, beatboxing, and dance. After joining this company, about 1 year passed till our debut." 12-05-25: B.A.P is on the cover of the Taiwanese magazine “Trendy”, and they are the first Korean group who never performed in Taiwan to have this chance. 12-06-11: TS Entertainment introduces each members’ Matoki. 12-08-14: B.A.P signs thousands of "No Mercy" albums that were bought by local and overseas BABYz. At the end of the year, B.A.P had won 13 Rookie Awards! 13-01-03: B.A.P figures on Grammy’s site (Biggest Awards Show in the US) along with PSY! 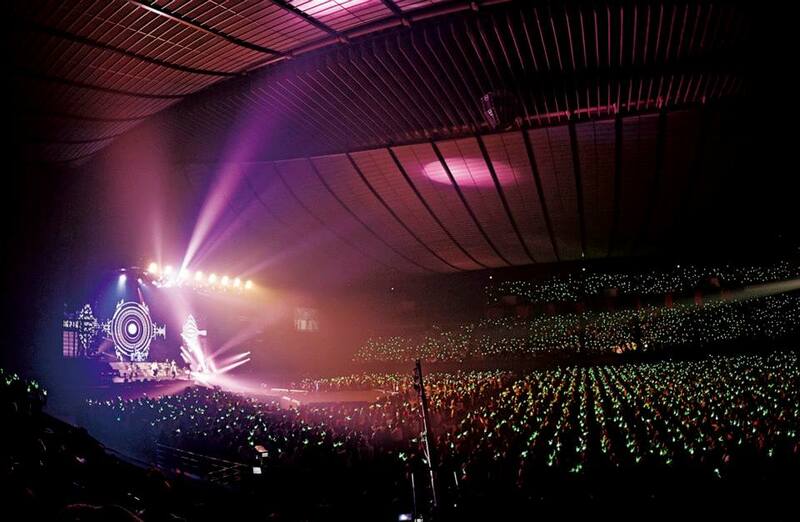 13-01-23: B.A.P sold out 8000 tickets for their first solo concert. 13-02-03: Himchan announces he broke his two fingers and won't be able to participate in the first week of promotion for "One Shot" - He was really disappointed of the situation, as he worked more than ever for this comeback, but promised to fans to be there at the first solo concert. 13-02-12: Comeback with the second mini album "One Shot"
13-02-14: "One Shot" MV reached 1 million views in only 2 days! 13-02-23/34: First Solo Concert in Seoul "Live On Earth Seoul"
BYS Founder was there! Check out our exclusive fanaccount here. 13-03-30: B.A.P sold out all 5,000 tickets of their first concert in Japan "Live On Earth Japan"
13-05-04: B.A.P breaks a record, holding Pacific tour in 4 American states and 4 Asian countries 14 months after debut. 13-07-27: B.A.P's fancafe has reached 100,000 members! 12-08-06: Comeback with the third mini album "Badman"
13-10-09: Japan Debut with the 1st Single "Warrior"
13-11-13: 2nd Japanese Single "One Shot"
13-11-24-13-12-15: First Arena Tour (Japan) "Warrior Begins" in Kobe, Nagoya and Tokyo. 14-02-03: Comeback with the first full length album "First Sensibility"
14-02-12: B.A.P’s FIRST WIN on a Music Show with “1004 (Angel)"
14-02-14: B.A.P win a 2nd time "1004 (Angel)"
14-02-16: B.A.P win a 3rd time with "1004 (Angel)"
14-02-26: B.A.P's official Facebook page reaches 1,000,000 likes!!! B.A.P sold a total of 103 417 albums in 2014! 15-11-27: First Win at Music Bank with "Young, Wild, and Free"
15-12-01: Second Win at The Show with "Young, Wild and Free"
16-02-20: B.A.P LIVE ON EARTH WORLD TOUR SEOUL AWAKE! 16-02-21: B.A.P LIVE ON EARTH WORLD TOUR SEOUL AWAKE! 16-02-21: Release of 5th Mini Album "Carnival"
16-03-30: Release of 1st Full Japanese Album "Best.Absolute.Perfect"
16-04-14: B.A.P LIVE ON EARTH WORLD TOUR SAN FRANCISCO AWAKE! 16-04-17: B.A.P LIVE ON EARTH WORLD TOUR LOS ANGELES AWAKE! 16-04-21: B.A.P LIVE ON EARTH WORLD TOUR DALLAS AWAKE! 16-04-23: B.A.P LIVE ON EARTH WORLD TOUR CHICAGO AWAKE! 16-04-25: B.A.P LIVE ON EARTH WORLD TOUR NEW YORK AWAKE! 16-04-27: B.A.P LIVE ON EARTH WORLD TOUR ATLANTA AWAKE! 16-05-01: B.A.P LIVE ON EARTH WORLD TOUR MEXICO AWAKE! 16-05-07: B.A.P LIVE ON EARTH WORLD TOUR MILAN AWAKE! 16-05-11: B.A.P LIVE ON EARTH WORLD TOUR HELSINKI AWAKE! 16-05-13: B.A.P LIVE ON EARTH WORLD TOUR LONDON AWAKE! 16-05-14: B.A.P LIVE ON EARTH WORLD TOUR WARSAW AWAKE! 16-05-15: B.A.P LIVE ON EARTH WORLD TOUR DÜSSELDORF AWAKE! 16-05-17: B.A.P LIVE ON EARTH WORLD TOUR MOSCOW AWAKE! 16-05-22: B.A.P LIVE ON EARTH WORLD TOUR TAIPEI AWAKE! 16-05-26: B.A.P LIVE ON EARTH WORLD TOUR MELBOURNE AWAKE! 16-05-27: B.A.P LIVE ON EARTH WORLD TOUR SYDNEY AWAKE! 16-05-29: B.A.P LIVE ON EARTH WORLD TOUR AUCKLAND AWAKE! 16-06-18,19: B.A.P LIVE ON EARTH WORLD TOUR NAGOYA AWAKE! 16-06-21,22,23: B.A.P LIVE ON EARTH WORLD TOUR OSAKA AWAKE! 16-06-25: B.A.P LIVE ON EARTH WORLD TOUR BANGKOK AWAKE! 16-06-27: B.A.P LIVE ON EARTH WORLD TOUR SINGAPORE AWAKE! 16-06-12,13: B.A.P LIVE ON EARTH WORLD TOUR TOKYO AWAKE! 16-08-06,07: B.A.P LIVE ON EARTH 2016 WORLD TOUR FINALE SEOUL TRUE AWAKE!! 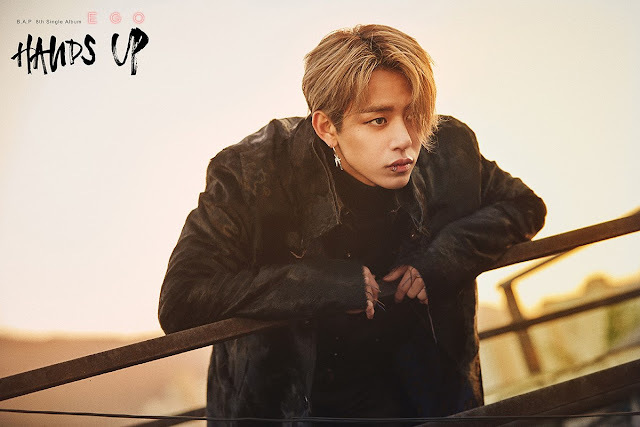 16-08-08: B.A.P's 5th Single Album "Put Em' Up" released. *Read a Fan Account here about it! 16-11-22: "Skydive" takes first win on "The Show"
16-12-25: B.A.P wins "MV of the Year (SKYDIVE)", "Album of the Year (NOIR)" and "2016 Best Male Group" at the Korean Update Awards. 18-12-01: Daehyun releases his 1st digital single, "BABY"
B.A.P themselves are also donating/supporting to many charities, including UNICEF, Greenpeace, the Infant Disorder Foundation and more. Yongguk has been nominated for the Shorty Awards in the categories of Activism and Charity. The group has also been the ambassadors of an environmental campaign in Seoul. Thank you for your feedback, we corrected those mistakes we are updating a whole bunch of info as our team has been on a semi-hiatus but now is ready to do more!